Word is out around Hollywood that 80′s favorite ALF will be coming to the big screen finally. In case you need a refresher: “ALF stands for Alien Life Form, and the ’80s sitcom centered on a friendly furry alien creature (a puppet) who crash landed on Earth and took up with the Tanners, a suburban family. 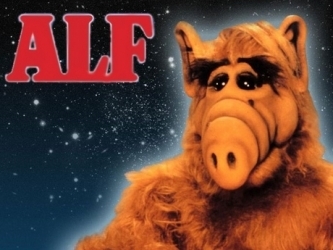 ALF, whose name was later revealed as Gordon Shumway, is sarcastic and has an appetite for cats. He courts trouble with government forces that are on his tail.” According to the article in Hollywood Reporter (and elsewhere), Jordan Kerner — who produced last year’s hit movie The Smurfs — was pegged by Sony Pictures to produce the new picture. Again, it will be a live-action feature film with ALF himself as a CGI character. Tom Patchett and Paul Fusco, creators of the original TV series, will be involved as co-producers. Paul Fusco was also ALF’s main puppeteer and voice actor, and he’s expected to be the character voice for the new film as well. So far there’s no word as to a main script writer, a director, or a planned release date… but watch your cats just in case.